Not since Annie has a stray dog inspired such joyful noise! In a Southern town filled with lost souls, a new leash on life is just around the corner when a preacher and his daughter take in a mutt named Winn Dixie. A heartwarming adventure for all ages! 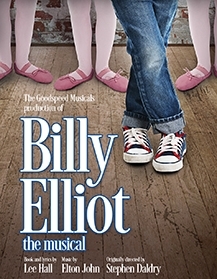 Young Billy Elliot is pulled between his family’s coal-mining roots and his newly discovered passion to dance. Is his future boxing gloves or ballet shoes? In this Broadway phenomenon with songs by the legendary Elton John, following your dream has never been more electric! The true story of an ordinary man and his extraordinary life. 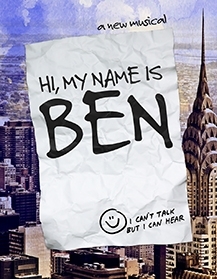 Featuring a joyful, folk-inflected score, this is the story of how one man, using just his notepad, pen and open heart, turned a neighborhood of strangers into a community of friends. The incredible true story of a young man who journeys on foot from Pennsylvania to California, collecting stories as he goes. 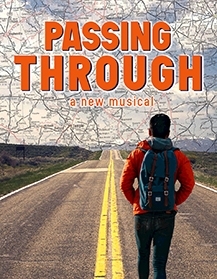 Don’t miss the musical that celebrates America and the power of what can happen when we open ourselves up to a stranger. 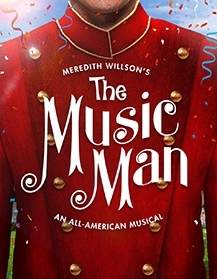 At Goodspeed, we have a deep history of producing the highest quality musicals that rival anything on Broadway. You will always see the best and the brightest here on our stages. 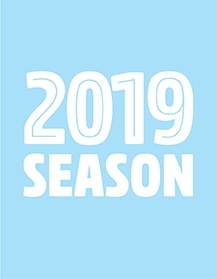 We are thrilled to share the 2019 season which has something for everyone – world class musicals that are entertaining, engaging, and tell stories that you’ll remember long after the curtain comes down. 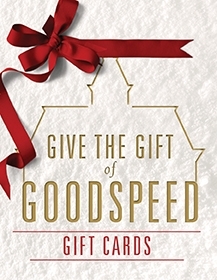 Come along for the ride… and be a proud part of Goodspeed’s future! Gift Cards Make the Best Gifts! If you’re looking to buy tickets for two for your favorite theatre-lover, we recommend a $158 gift card. This amount will cover two great seats to any show of their choice! This exciting gift option includes a 3-course meal at the Gelston House (located next to The Goodspeed) and a ticket to a Friday evening show in our 2019 Season at The Goodspeed for just $89 per person! Select seats and subject to availability. You choose the dollar amount, they choose the show. This is our most flexible option—perfect for anyone on your list! $25, $50, $75, $100 Gift Cards are available to purchase online. Please call the box office if you would like to purchase a Gift Card in any other amount.